Getac's ZX70 tablet. Photo courtesy of Getac and Business Wire. 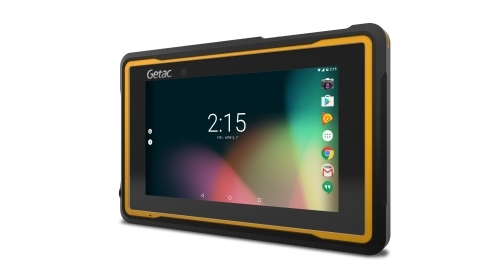 McElroy has selected Getac’s ZX70 tablet to be incorporated into the company’s DataLogger 6 solution for quality assurance in the field. The ZX70 is a lightweight, 7-inch Android tablet whose fully-rugged design enables it to withstand the harshest conditions. It runs on the Android 6.0 platform and includes a custom RS232 adapter that connects via the ZX70 dock connector. Currently, the need for better record keeping and increased accountability is growing among those who build and manage pipeline infrastructures, and new standards such as ASTM F3124 have been implemented to govern the collection of data from theromoplastic pipe fusions. McElroy’s DataLogger 6 exceeds these standards by capturing the most important information related to fusion operations, improving the traceability and providing a higher level of assurance that pipelines are fused properly before going into service.